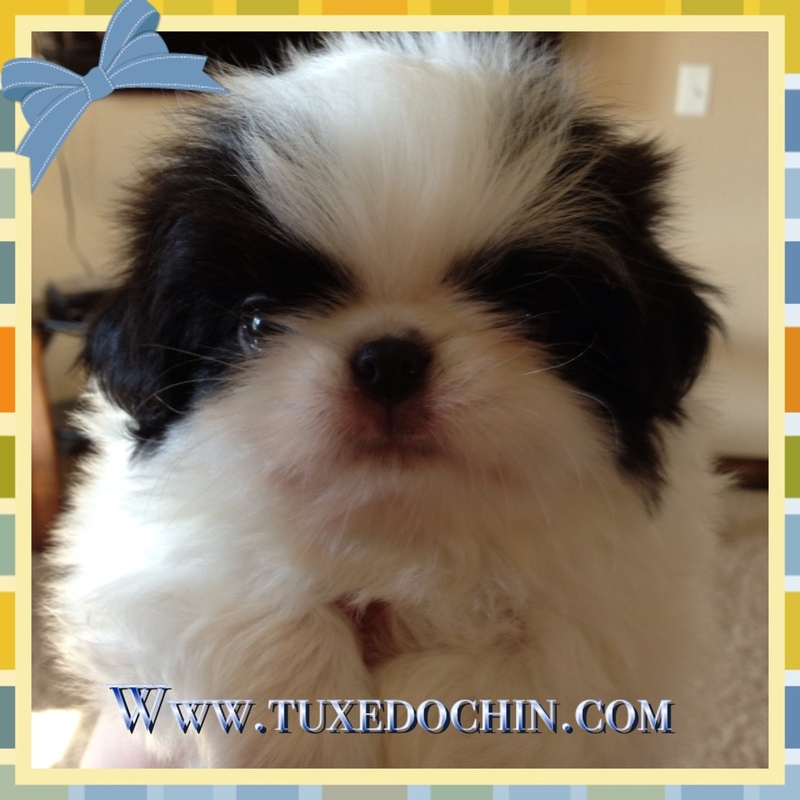 Welcome to Tuxedo Japanese Chin! Watch for Cody/Norma Jean Puppies & Cody/Bella Puppies!!!!!!! 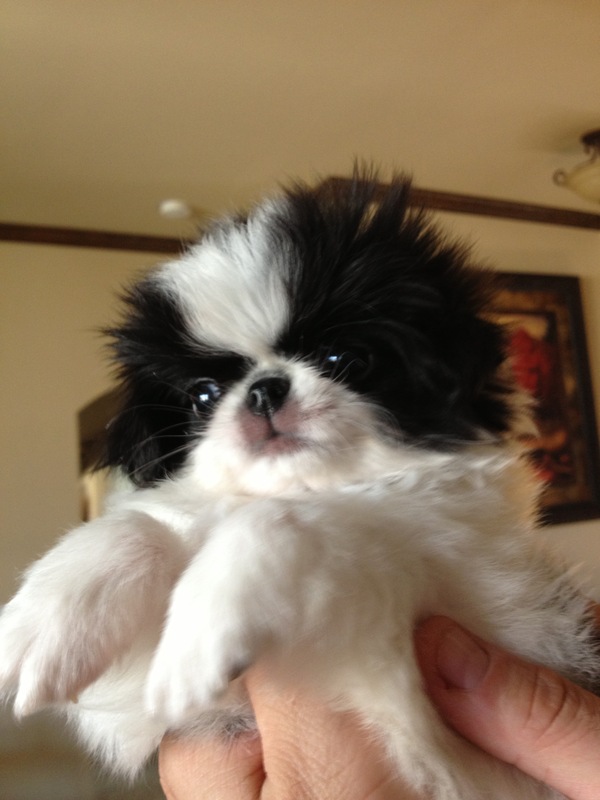 Welcome to Tuxedo Japanese Chin! We found our first love “Bella” in 2007 in Texas. 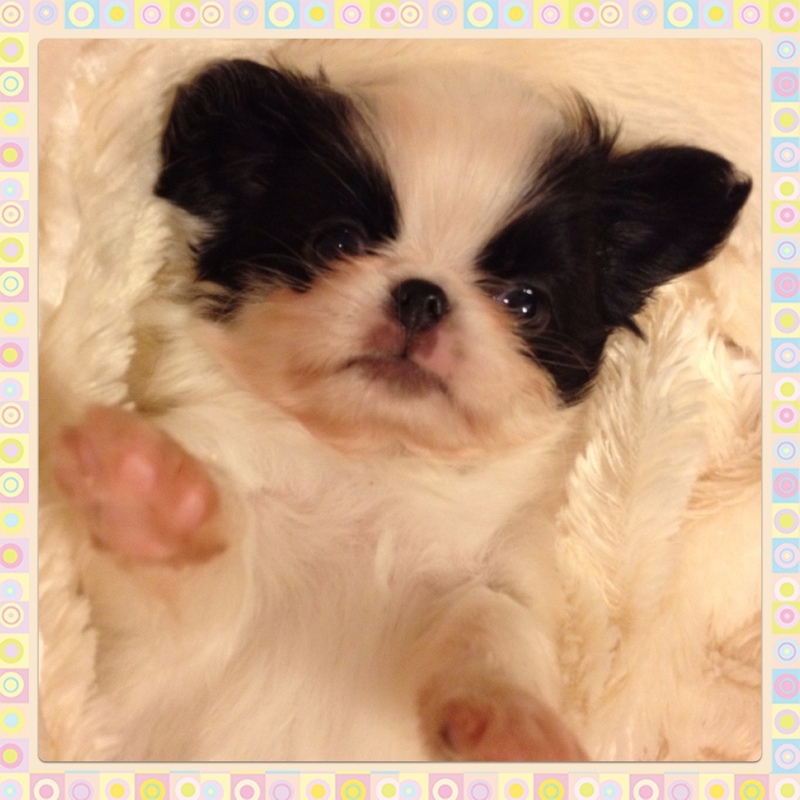 We got her from Rick Wilson of Keepsake Japanese Chin who was referred to us by Dale Martenson of Chin of Touche’. 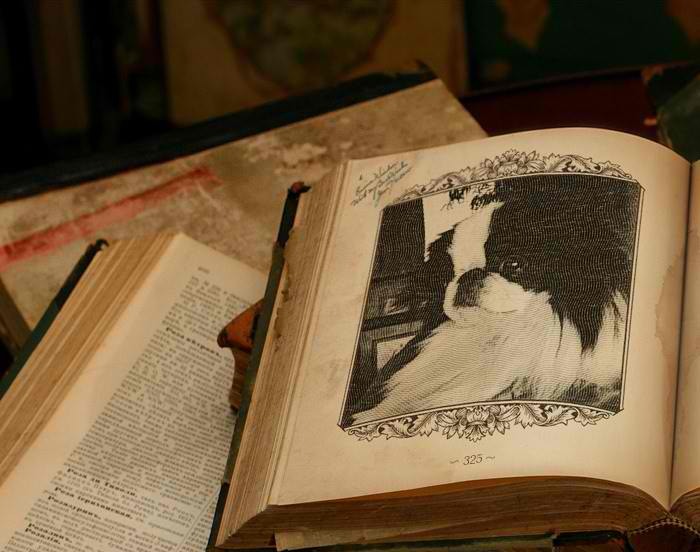 After just a few months we knew that the Japanese Chin was the breed for us. 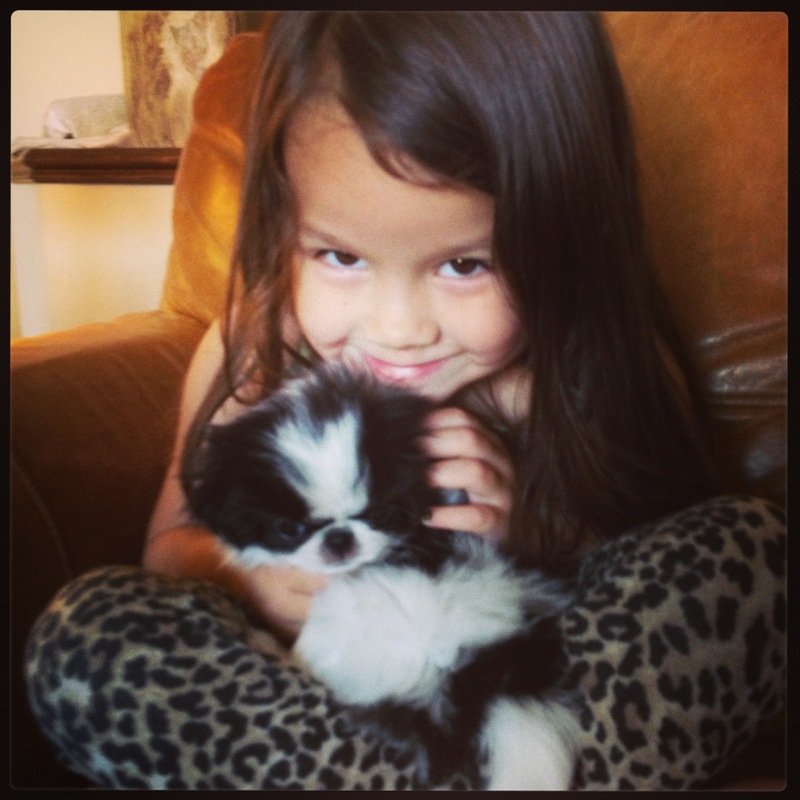 We soon knew that we would be dedicated to the betterment of the breed standard and got Bella a boyfriend. Currently we have 2 males and 2 females and they are all different, have their own little personalities and we love them all! Their antics are limitlessly entertaining!!! 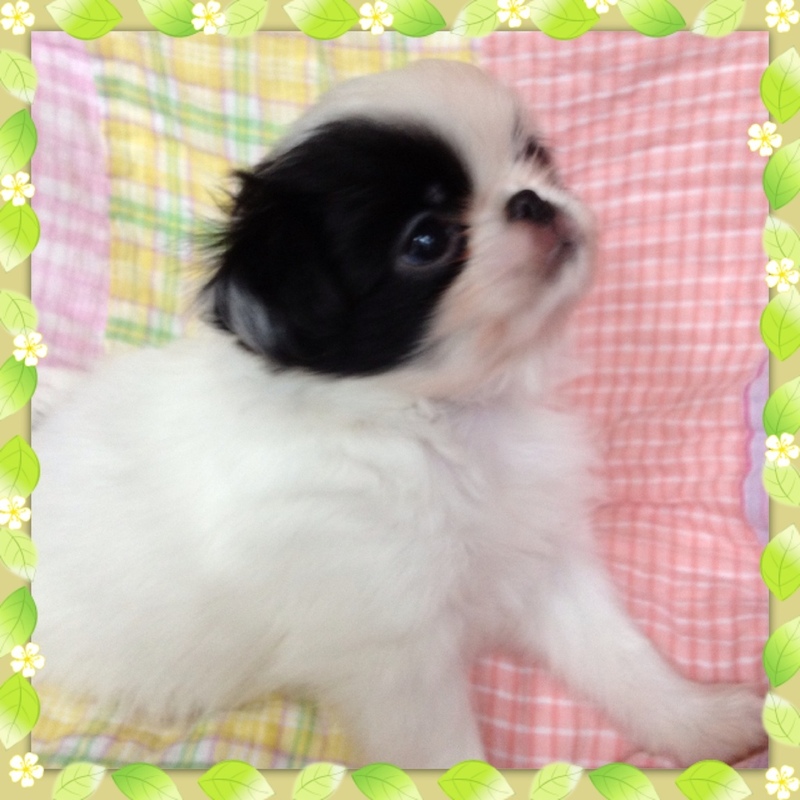 The Japanese Chin will always be tyring to entertain you and make you smile. They are very clean dogs and almost “cat like” in their mannerisms. Some can be lap dogs and some can be quite independent. All of them however, want to be with their people and are very loyal. Is an excellent watch dog! 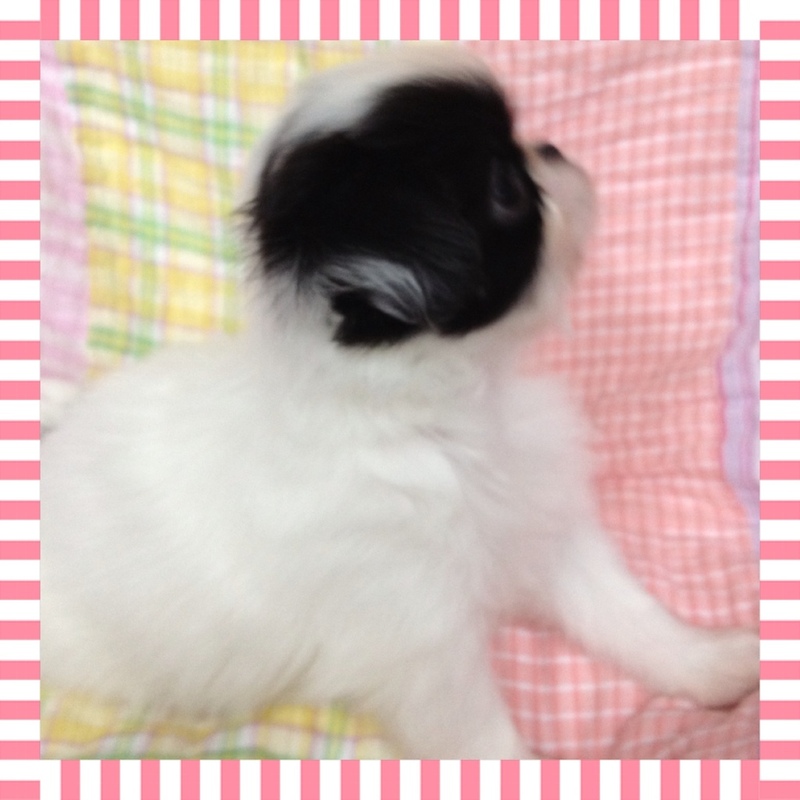 Is a loveable companion dog? Has never been recorded for biting a human? Can be trained to use a litterbox.